Is this all being done by design? because water is running out. Absolutely no one enjoys thinking of the kinds of changes that drive people to flee their lives and homes. 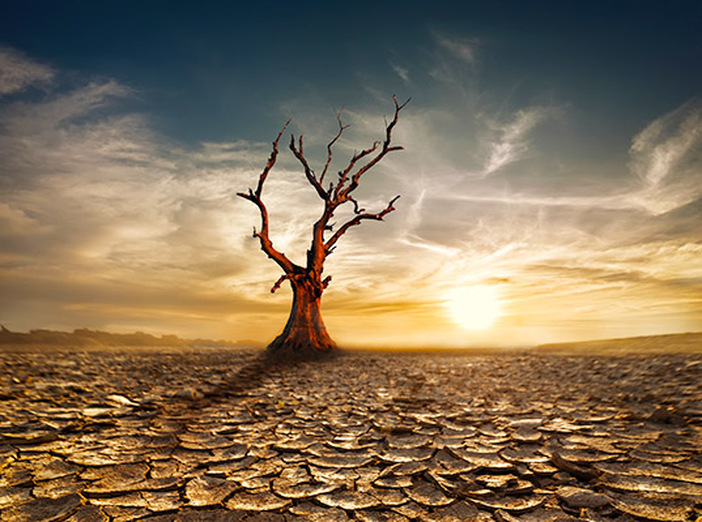 However that does not change the realities that millions are now facing in San Paulo Brazil and in California, which are both facing the end of life, as they once knew it, because the water is running out. 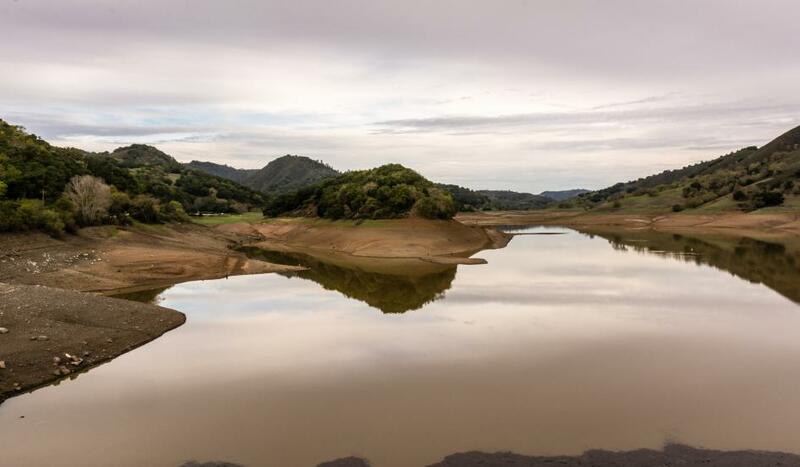 California has one year left of water (population of 40 million) and San Paulo has until June when water will run out for over six million people. If one is standing on a street corner, and sees a bus coming down the block out of control the normal person would run for their life. However when it is our home and life involved we are slow to move aside. There is just too much to lose. These past years have seen large amounts of people leaving the Middle East and North Africa and the new government in Greece is threatening the rest of Europe with an invasion of displaced people that are already on their soil. The United States and Europe are directly responsible for creating the conditions for these migrations with their wars of disruption in Libya, Iraq and Syria, where massive amounts of people have left their homes. And it’s not just households that are feeling the pinch in San Paulo:Courts are canceling sessions, big farms are scaling back operationsand schools and businessesare cutting time. A sea of people are fighting for water in Sao Paulo. “As California experiences the fourth year of one of the most severe droughts in its history, a senior NASA scientist has warned that the state has about one year of water left. In an LA Times editorial published last week, NASA Jet Propulsion Laboratory senior water cycle scientist Jay Famiglietti called for a more “forward-looking process” to deal with the state’s dwindling water supply. “California has no contingency plan for a persistent drought like this one (let alone a 20-plus-year mega-drought), except, apparently, staying in emergency mode and praying for rain,” Famiglietti wrote. 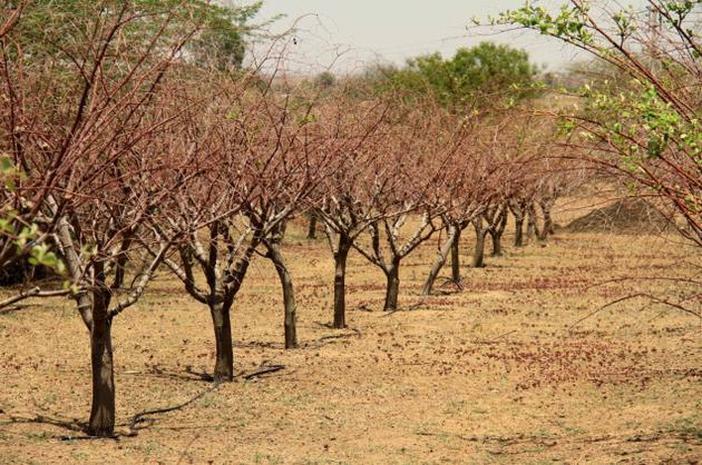 Across the globe, reports reveal huge areas in crisis today as reservoirs and aquifers dry up. More than a billion individuals – one in seven people on the planet – now lack access to safe drinking water. There are many reasons people move: for work, for love, for the draw of the big city or the quiet of nature. However, as the world continues to cool, it is expected that global climate change will become another factor driving people to move. In San Paulo, few are moving yet and in California, few people are calculating their futures because they are both running out of water and have front row seats to the continuing radiation from Fukushima. In addition, along the more northern reaches of the Northern Hemisphere, where record snow and cold are being experienced, even fewer can conceive of the need to escape to the south as the next mini ice age begins. The press lies about just about everything so do not look to the mass media for guidance. I escaped the United States 23 years ago and have been living happily in Brazil ever since. 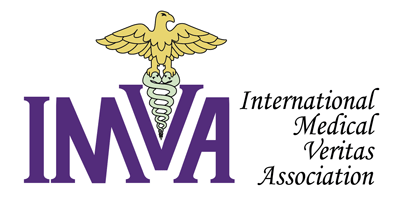 I would like to offer a consultation service, as I do for people with health concerns, to formulate plans to anyone who might want to migrate to Brazil. The strong dollar just made retiring abroad a lot cheaper. Whether to move to the Northeast Coast and continue to live in civilization or a total escape into the interior to be associated with my Sanctuary, where we have our own construction company and land to grow food, I could be of strategic assistance. At Sanctuary, we are surrounded on three sides by two rivers (that you can drink from) that meet only 100 meters below our still under construction retreat center. It is only time before the world blows up in everyone’s face forcing changes and moves we would not make or take under any normal situation. Most of the “the golden state” is now parched, baked and dried far beyond any historical precedent. Reservoirs are nearly empty, streams are drying up, and forests are dying by the day. Catastrophic fires will also continue to decimate California due to the ongoing engineered drought. 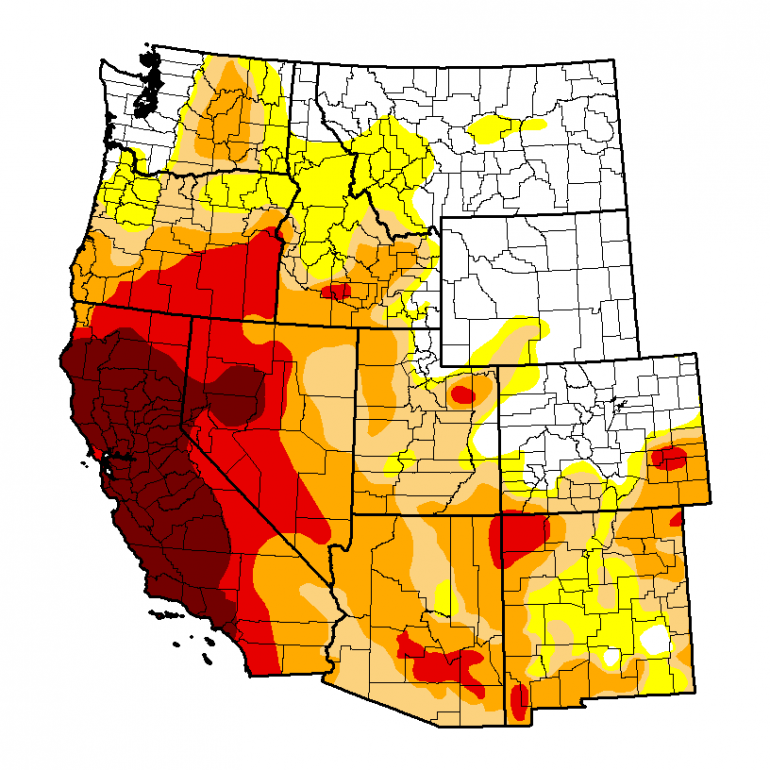 Much of the “golden” state went through all of 2013 with no significant rain and 2014 is so far looking even worse. Why? What will it take to wake people up to the “weather warfare” being waged on them? Geoengineering reduces overall global rainfall totals (though it can also trigger regions of torrential flooding). 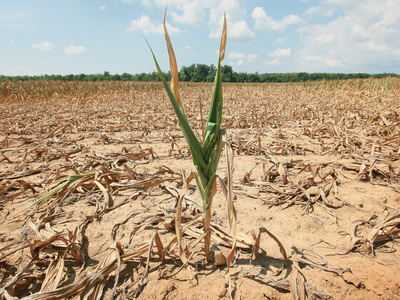 Intentionally caused drought is weather warfare, period. There is a great deal of disinformation out there already and its getting worse by the day. Even some of the biggest “alternative news sites” are helping to “tow the line” for the global elite and the geoengneers by putting out articles on drought and “global cooling” which make no mention of the climate engineering at all. Yet, on the other hand, these same “news sites” claim to be aware of climate engineering and they say they are against it. Which is it? How can they be aware of the geoengineering programs and yet put out climate article after climate article without so much as mentioning the elephant in the room that is climate engineering? The articles from these “alternative media sites are even claiming all the chaotic weather is just “normal cycles”. This is exactly what corporate media does, so who’s side are these alternative media sites on? How is it possible that any weather in a completely engineered climate system is “normal”? So what happens when the skies above the oceans and storm tracks in the Eastern Pacific are constantly sprayed? Drought and deluge in the US. The Western US fries and dries, the Eastern US gets the opposite as moisture is in effect migrated across one region and brought down in another. 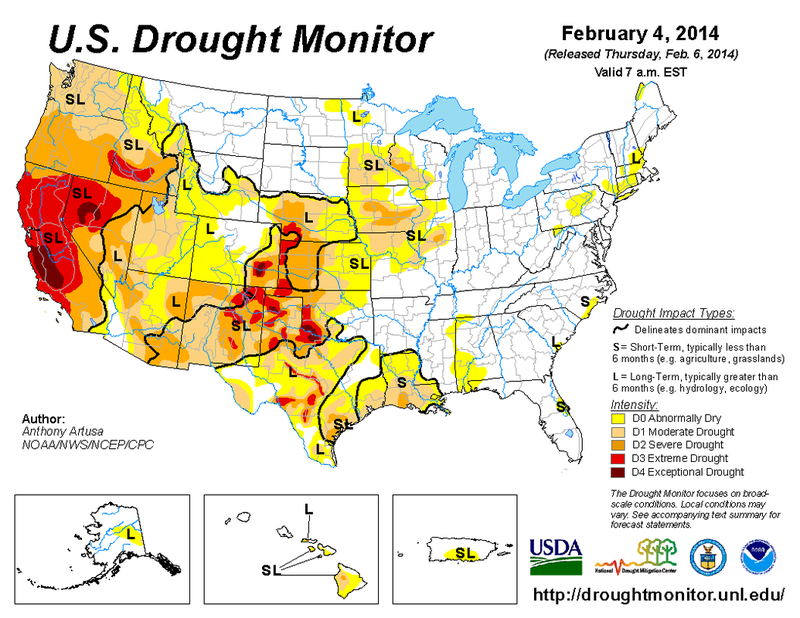 The true severity of the drought in the west is not accurately reflected in the “drought monitor” map above. The actual conditions on the ground are much much worse as California has been descending into ever worsening drought for 7 years now. This season to date there has been no significant rain at all. It is imperative that we all work together toward the goal of making the population as a whole understand that virtually all their “weather” is being completely manipulated. That there is NO NATURAL WEATHER at this point. That we are all the victims of “weather warfare” and many of us will soon be climate refugees if we are not able to bring the climate engineering to light and to a halt. On top of all this we are all literally being poisoned by the toxic metal fallout from these programs, but that’s another story. Geoengineered Drought, Target CaliforniaThe recent NOAA map above illustrates an unprecedented pattern of precipitation or lack thereof. Almost the entire country is shown at above normal precipitation while California looks like it has a virtual “bullseye” of below normal rainfall predicted (scheduled). One can draw their own conclusions from this map, does this pattern really look natural? The NOAA map above is about as unnatural as it gets. Welcome to global geoengineering. Engineered high pressure and heating in the west, and constant engineered cool downs in the east. The NOAA map above from June shows the continued droughting out of the once green and productive state of California. As shown in the map, the western half of the US continues to be intentionally starved of rain while the Eastern US gets the excess. Again, the geoengineers decide who gets rain, and who doesn’t. HAARP ionosphere heating facility in Alaska. There are numerous ionosphere heating installations around the globe that are used to manipulate the jet stream into historically unprecedented patterns. The manipulated jet stream is one of several primary factors relating to the climate chaos now being inflicted on planet Earth. The atmosphere is now much more conductive due to the constant saturation of metallic particulates from the aerosol spraying. This makes the ionosphere heaters much more effective and lethal. The entire “climate science” community is in total denial in regard to the now manipulated jet stream, as well as the aerosol spraying. To speak of these programs is a bad career decision for many, denial is the cowards choice for them. Many are mistakenly calling short spray trails “condensation” and not realizing that this is just another form of aerosol spraying. The “spray light” is common under less humid conditions and high pressure zones. This type of spraying transforms the skies into a silvery white haze or “cob web” clouds that many are so accustomed to they no longer even consider it unnatural. UV radiation readings are often actually higher under this type of spraying application, a “lens” affect. Is this intentional heating in order to increase the strength of high pressure zones? High pressure spins clockwise in the Northern Hemisphere. The manipulation of high pressure helps to steer the jet stream. The unprecedented high pressure over the west is also a major cause of the current and rapidly worsening catastrophic drought. With the combination of constant aerosol spraying and ionosphere heater utilization (HAARP) the climate engineers have effectively cut off the flow of moisture to the state of California. Why? There are likely a number of probable reasons. First, California is possibly a climate “sacrifice zone”. This means that California is collateral damage for the constant parade of engineered snow storms that occurred further east in the US all winter long. The rain blocking high pressure ridge that the climate engineers have locked in place over the western US and the eastern Pacific pushes the jet stream straight north, carrying the moisture with it before rain can come anywhere near California. This moisture then travels as far as Alaska and the Arctic (Alaska logged its warmest January on record). The jet is then turned back south as it wraps clockwise around the HAARP/ionosphere heater created dome of high pressure. Then, it is pumped all the way down to the southern US carrying heavily sprayed and chemically ice nucleated moisture with it which enhances the artificial cool down of the eastern US. Another part of the puzzle is likely this, a population that has no water and can not grow any food does not tend to be in a position to effectively protest the crimes of it’s government. California has historically grown so much food for the nation that the catastrophic drought has very far reaching ramifications. Control the food supply and you control the population. There is also the growing effort by the government to take control of water rights in California and other regions in the west. The climate engineers literally have California by the throat and it does not appear they are going to let go anytime soon. 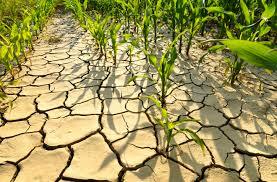 The weather makers can drought California into a desert from top to bottom, we are well on our way to this already. 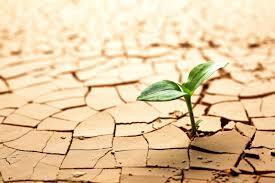 Forests that were green and lush only ten years ago are now wilting, withering, and in many places have already died. In addition to the almost total lack of rain in California caused by the climate manipulation, the jet sprayed aerosols utilized in the geoengineering programs are desiccants. 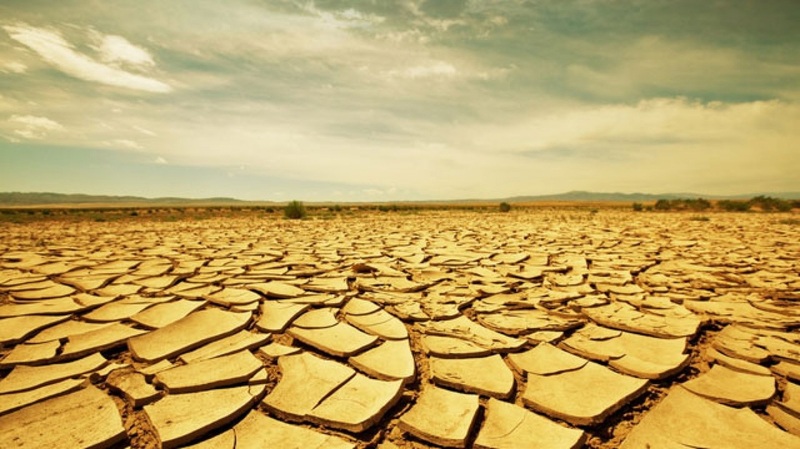 These are materials that adhere to all available moisture in the atmosphere creating very low humidity on the ground under many conditions which further dries out the already parched state. Now lets add the constant record high temperatures that often go along with consistent high pressure. All things considered, its a recipe for creating a dust bowl out of a once beautiful state. Its a method for bringing the population of this state to their knees. Where Are The Geoengineers Concentrating Their Efforts, And How Cool Are They Making The Planet Overall? The NASA temperature analysis map above should make clear where the climate engineers are most focused in their efforts to create a “cool down”. This map illustrates recent temperature trends as compared to the 30 year average. The NASA map clearly shows the only “cooler” places on the planet compared to the long term average. These areas of below normal temperatures are a direct result of massive geoengineering efforts such as those described above. If the temperature variations on this map seem unnatural, they are. Though the US media is trying frantically to convince its population (with considerable success) that the world is in a deep freeze, this is patently false from a global perspective. The radical swings in temperatures and conditions will persist and worsen as the climate engineers literally tear Earth’s natural life support systems apart. The geoengineers can and are radically cooling huge areas, but at the cost of a greatly worsened overall warming and a completely decimated climate system. What Can We Do?Everyone can and must help with this all important battle. All must get up off the bench and assist in the critical effort to raise awareness. Get organized with others in your community. Get educated (this means examining real data, not headlines), get credible information to hand out, hold viewings of documentary films like “Look Up” from film maker George Barnes, do whatever it takes to sound the alarm. If we can simply bring the climate engineering crimes to the light of day, and reach critical mass of awareness, the dominos that keep these programs in operation will start to fall. America to lose one-third of its fresh produce when California runs out of water. Awareness of this is only now beginning to spread, but almost no one truly grasps the implications of what losing California's Central Valley agricultural output means to grocery shoppers. Losing the ability to produce crops in the Central Valley means food prices will skyrocket across America: a pound of organic strawberries might cost $25, a single avocado might run you $10, and a head of organic romaine lettuce might set you back $12 or more. Of course, you can grow your own Romaine lettuce for about 10 cents a head using the Food Rising Mini-Farm Grow Box, and you can even learn how to make your own with common tools. 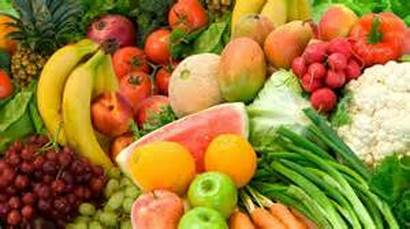 The more scarce food becomes, the more expensive it gets. That's all the more reason to learn how to grow your own, because growing your own food is not only dirt cheap; it's incredibly easy now thanks to the Food Rising system. Food imports to skyrocket as America's food production implodesA loss of one-third of the ability to domestically produce fresh produce is not merely a food inflation nightmare; it's also a food security crisis. It would require the importing of more food from places where agricultural chemicals can be readily used even if they've been banned in America. A collapse of food production potential in California will also cause a huge crisis in the agricultural labor market. Hundreds of thousands of agricultural workers keep California's farms humming along, but if those workers suddenly find there's no work (because of the water supply collapse), they will either migrate to other areas where work is available or turn to the State of California for financial support. This would place an enormous additional financial burden on the state at exactly the same time its agricultural exports are plummeting. The big trend: A wave of home food growersNo matter how it plays out in California, fresh produce is about to get a whole lot more expensive across America. Because of this, interest in home food production is set to explode. The economics just make sense: Even if fresh produce doubles in price at the grocery store, your cost to produce the same fresh produce at home doesn't go up at all. If you have water, sunshine and seeds, you can grow an enormous variety of fruits, vegetables and medicines using simple, self-watering systems like the Non-Circulating Hydroponics system unveiled at www.FoodRising.org . In fact, one of the big trends I see that's about to explode across America is commercial hydroponic food production using LED grow lights and indoor grow environments. The economics of such operations make sense right now, and they'll be even more profitable in the near future as conventional food production falters due to drought and weather radicalization. Remember: Cheap water results in low-cost food. But when the cheap water runs out, the food becomes more expensive, creating opportunities for more high-cost food production systems to compete in the marketplace. Finally, also remember this: The price you paid for food at the grocery store YESTERDAY is the lowest price you will likely ever see. Plagued by prolonged drought, California now has only enough water to get it through the next year, according to NASA. In an op-ed published Thursday by the Los Angeles Times, Jay Famiglietti, a senior water scientist at the NASA Jet Propulsion Laboratory in California, painted a dire picture of the state's water crisis. California, he writes, has lost around 12 million acre-feet of stored water every year since 2011. 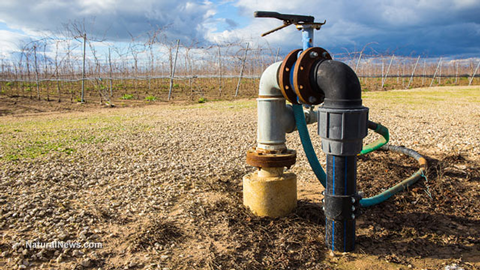 In the Sacramento and San Joaquin river basins, the combined water sources of snow, rivers, reservoirs, soil water and groundwater amounted to a volume that was 34 million acre-feet below normal levels in 2014. And there is no relief in sight. "As our 'wet' season draws to a close, it is clear that the paltry rain and snowfall have done almost nothing to alleviate epic drought conditions. January was the driest in California since record-keeping began in 1895. Groundwater and snowpack levels are at all-time lows" Famiglietti writes. "We're not just up a creek without a paddle in California, we're losing the creek too." On Wednesday, the U.S. Department of Agriculture announced that one-third of the monitoring stations in California’s Cascades and Sierra Nevada mountains have recorded the lowest snowpack ever measured. He criticized Californian officials for their lack of long-term planning for how to cope with this drought, and future droughts, beyond "staying in emergency mode and praying for rain." With that future in mind, Famiglietti says, "immediate mandatory water rationing" should be implemented in the state, accompanied by the swift formation of regulatory agencies to rigorously monitor groundwater and ensure that it is being used in a sustainable way—as opposed to the "excessive and unsustainable" groundwater extraction for agriculture that, he says, is partly responsible for massive groundwater losses that are causing land in the highly irrigated Central Valley to sink by one foot or more every year. Various local ordinances have curtailed excessive water use for activities like filling fountains and irrigating lawns. But planning for California's "harrowing future" of more and longer droughts "will require major changes in policy and infrastructure that could take decades to identify and act upon," Famiglietti writes. "Today, not tomorrow, is the time to begin."